Jimmy Kimmel brought every bit of himself to the Oscars, and most of his hosting instincts were for the best...save one "worst" moment. 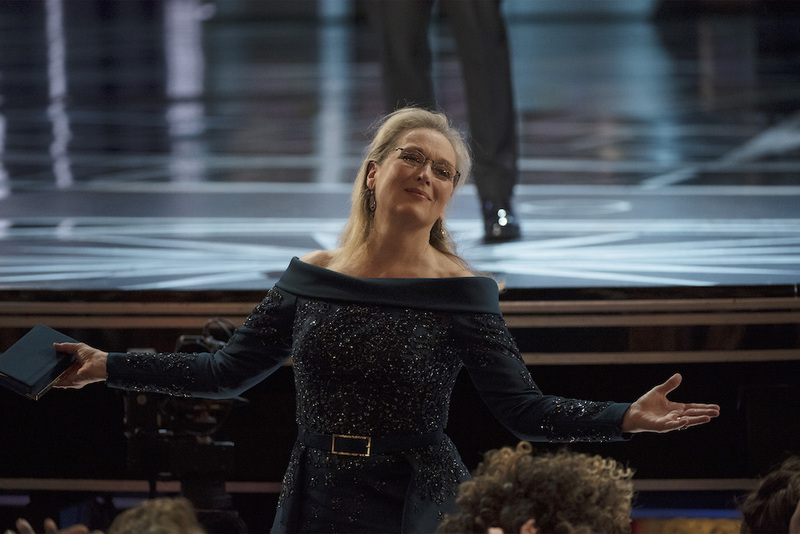 Moment of truth: The Oscars will always feel long. It’s a three-plus hour awards show built around handing out trophies and listening to speeches. It’s going to drag at times, and the 89th Academy Awards ran way over time. Knowing that this is expected — that the show tends to drag no matter what the host does — only makes Jimmy Kimmel and the producers’ decision to open the show as they did all the more ballsy. 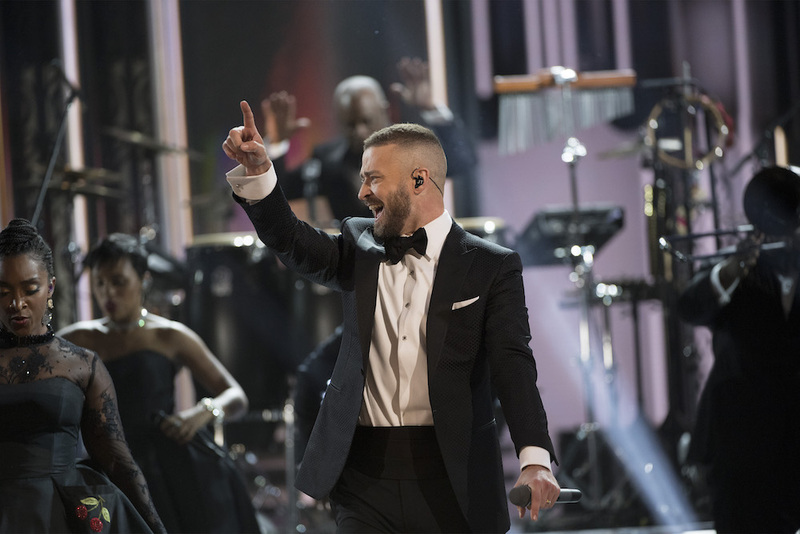 From the moment Justin Timberlake broke into his extremely catchy nominated song, we, indeed, could not fight the feeling. And that feeling was utter exuberance. And while it kept the feeling flush for a while, the uncontrollable building blocks of the Oscars eventually brought things back down to earth. The speeches weren’t all that surprising, save for a few, and the winners weren’t particularly shocking in the major categories — except for that shocking Best Picture error. (Thanks be to Warren Beatty, by the way, for having the presence to explain the error immediately.) Whoever was in charge of handing out the envelopes made the first major mistake of the night. But beyond that eye-opening ending, the opening set a perfect tone, and Kimmel kept things light without disrespecting Oscar history…save for one surprisingly off-key moment. But we’ll get to that in a bit. The show could have been a lean, anti-mean, joyful machine had it not been for the repeated nods to film history. Showing a montage of former winners in the acting categories did little to build up the prestige for those about to win, and Charlize Theron’s tribute-from-a-theatre-seat to “The Apartment” dragged things down. Seth Rogen’s salute to “Back to the Future” was a little more lively, but none of these moments did much to motivate young audience members to watch the films (unless you’re that big of a Theron fan, which is more than fine) and thus felt like forced patronage to older viewers at home (likely the ones who, as Kimmel pointed out, haven’t seen “Moonlight”). Still, the 89th Academy Awards won’t go down in the bottom half on the basis of pure entertainment. Below, we’ve broken down the key elements of the show to better analyze the best and worst moments of the night. Kimmel did the virtual impossible: He matched the euphoric tone set by a joyful opening performance by Justin Timberlake. Let’s face it: Kimmel has always been clever, but I doubt anyone expected him to nail the monologue with both planned and off-the-cuff jokes, smart and casual references fit for every cinephile at home, and even creating a few touching moments without losing steam. His tribute to Meryl Streep would not have worked without such a clever buildup beforehand. Many other hosts would have simply created an awkward few seconds of forced applause, but he’d whipped them into a frenzy by mentioning Donald Trump’s infamous tweet labeling the world’s most nominated actor “overrated” and repeatedly citing her “mediocre” and “underwhelming” performances in iconic films. By building up the crowd to a peak they didn’t know was coming, Kimmel unleashed a heartwarming moment Streep herself happily took part in, standing up and turning around to acknowledge a wave of support that doubled as resistance to the president. Earlier, Kimmel acknowledged the elephant in the room by pretending to make nice with Matt Damon. Though such a momentous occasion — for both men, a host and nominee — would have proved fitting for a true reconciliation, Kimmel slowly reversed his promise and gleefully ribbed the beloved Bostonian. “When I first met Matt, I was the fat one,” Kimmel said of their longstanding faux dispute before concluding with an effective tear-down of “The Great Wall” and calling Damon a dumbass (who gamely played along by pulling Affleck’s hair at the mention of a ponytail). Later in the show, he did even better: Mocking Damon’s “We Bought a Zoo” performance (by pretending to honor it as other actors honored classic films throughout the telecast) and then trying to play Damon off the stage when he was only up there to present an Oscar. Kimmel also earned points from just about everyone for simultaneously acknowledging the best and worst of Mel Gibson. Discussing how no one sentence or speech could unite the entire audience in these divided times, Kimmel quipped, “There’s only one ‘Braveheart’ in this room, and he’s not going to unite us either,” before adding, “I think the Scientology is really working.” (Of note: Gibson is not a known or outed Scientologist.) He kept the cutting and kind references coming in equal doses throughout the night, but Kimmel deserves credit for delivering one of the most jubilant Oscar openings in recent memories. While most of Kimmel’s bits worked, one notably worked against his speedy goal: Bringing in the tour bus guests was a risky gamble (assuming they were real, unscreened people wandering in off the street). The fact they were all on their phones was what really brought down the vibe — similar to, say, a TV critic writing a review of an awards show in the middle of an Oscars party. 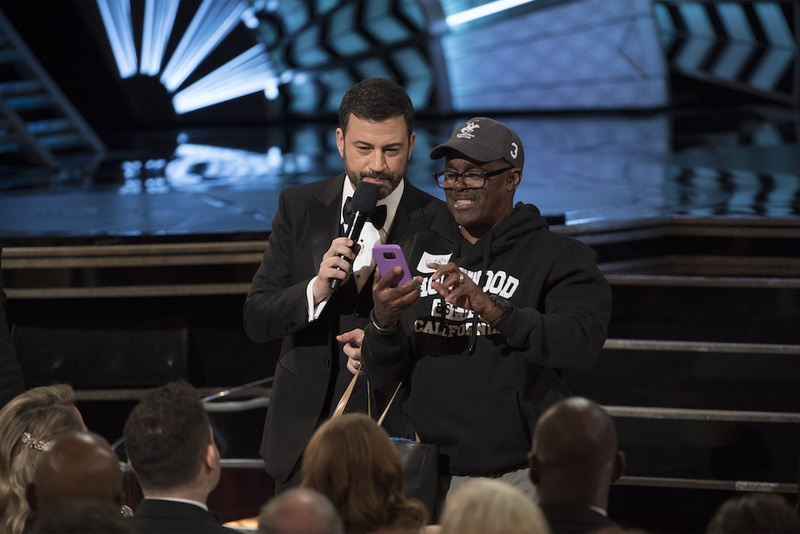 No one wants to watch people stare at their phones, and Kimmel wisely tried to stop them by reminding Gary (from Chicago) that he was on TV. It didn’t work. Most of the guests were too busy recording to spontaneously interact with the celebrities, and there was no “wow” moment when they entered the dimly lit auditorium. Kimmel very nearly saved it, pushing through the awkwardness and encouraging Denzel Washington to help out a few fans. But it was a risk ultimately not worth taking, given this is the Oscars and not Kimmel’s late night show. Thankfully, the tour bus bit was the only one that felt fit for an after show and not the Oscars. Kimmel more than redeemed himself with a brilliant viral bit: trolling Donald Trump, live, with his phone’s screen put on screen for everyone to see. #MerylSaysHi, well, there’s nothing else to say. Nice work, sir. 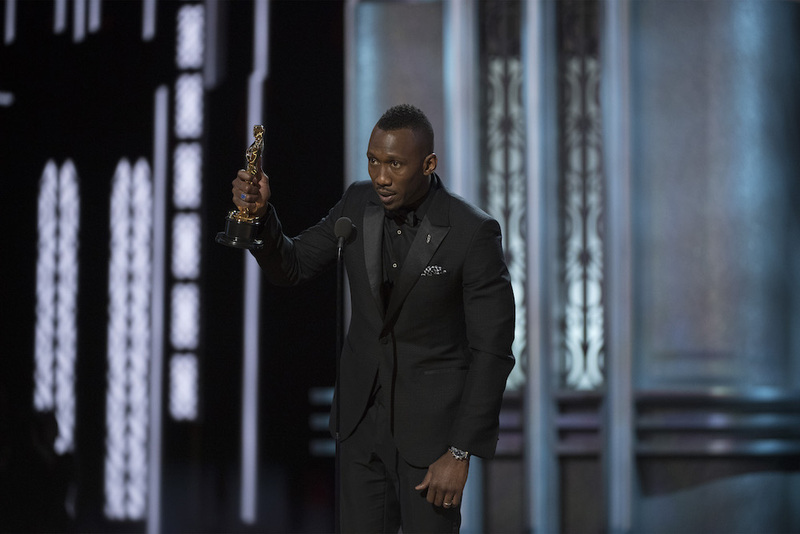 Marhershala Ali got the night off on the right foot. His speech may not have topped his instantly iconic performance at the Globes, but the producers gave him all the time he wanted and Ali didn’t disappoint. His moving words weren’t immediately matched. It took until Kevin O’Connell took home his first Oscar in 21 nominations for a joyous equivalent to take the stage, and his tribute to his mother — who asked him to repay her by winning an Oscar — hit home. Of course, Viola Davis — the queen of speeches — gave a passionate and on point tribute to the world we live in, artists in general, and the writer who got her an Oscar: “Here’s to August Wilson who exhumed and exalted the ordinary people.” She thanked Denzel Washington for “putting August and God” in the driver’s seat, and still didn’t forget to thank her family. Perhaps a bit overly emotional for someone who knew she was going to win for months, but it’s what viewers are looking for — and done well. The next great moment came when “The White Helmets” team took home the Oscar for Best Documentary Short. Cinematographer Khaled Khateeb was denied access to the country, and the representatives in attendance read a moving statement on his behalf. Teachers and moms also got their due, thanks to Ali and the “City of Stars” (Best Original Song) winners. Few were iconic, but most were well put — and that’s a win. Justin Timberlake, “Can’t Stop the Feeling” – Timberlake absolutely owned a rather simple opening number because of one thing: confidence. He had it — and flaunted it — throughout: from the opening walk through the Dolby’s entrance into the auditorium, and through the awkward musical shifts from traditional pop to beat-heavy rapping. Timberlake had the crowd in the palm of his hand, like any musical superstar should. But we don’t see quite the rapturous level of enthusiasm often, so let’s give credit where credit is due: NSYNC might just take him back. “La La Land” – Combining these was a good idea. John Legend replacing Ryan Gosling and Emma Stone was not. Whether or not you loved or hated the formally imperfect performances of the film’s stars, they were there to serve a purpose. And Gosling and Stone’s voices will forever be identified with the film. So, they should have been up there, singing — even if Legend did a great job honoring their material. Bonus points: the medley was nicely mixed, rather than just playing one and then the other. Lin-Manuel Miranda & Auli’i Cravalho, “How Far I’ll Go” – Miranda’s part was fittingly brief, and the entire number kept the pace up throughout. It ultimately served as a platform for Cravalho’s talents, and there’s nothing wrong with that. Bravo. Sting, “The Empty Chair” – Not to be too harsh on a song nominee from a film only the IndieWire devout have seen, but this intimate solo performance did little to motivate interest in the film — even with a nod to journalism at the end. But hey, it was quick. Overall, the Oscars telecast was an entertaining, mostly propulsive experience. Kimmel took risks, and that’s to be applauded. There are more than enough moments to remember — including a finale for the ages — and these incredible notes should more than make up for the extra-long running time. That being said: Next year, bring in Kate McKinnon.